Toilets become entertainment spots!? This month at forty izakaya restaurants, Japanese game Corporation SEGA began trials of their unique new game called “Toylets”. Toylets is an electronic game device mounted above urinals, with an LCD screen for gaming and restaurant advertisements as well. these will be installed at restaurants and amusement facilities such as karaoke shops. Toylet trial versions include two kinds of fun contents using a pressure sensor on the urinal (the bull’s eye mark with a red spot in the photo above). 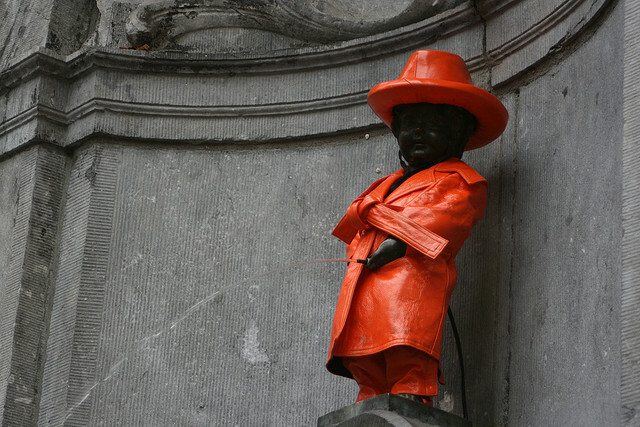 One is “Mannekin Pis” which simply measures the amount of your stream. And another is the multi-player game “Battle! Milk From Nose”; the strength of your urine stream is measured in real time and depicted as milk blowing out of the nose of your on-screen character. The game saves the data while you play a virtual milk-blowing match against the last person who stood at the urinal. Likewise, the next in line will play against you. Japanese Unique Canned Food in Vending Machines! !